Entertainment Tonight's tweet - "It's happening! 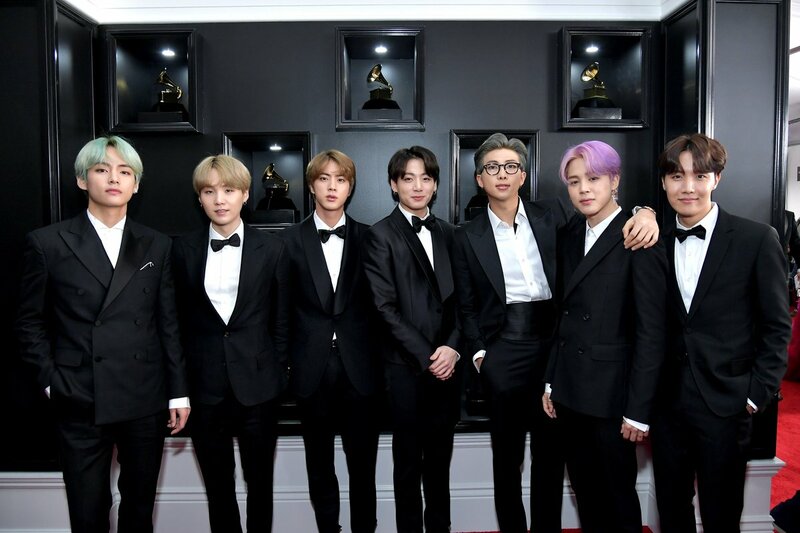 @BTS_twt is officially at the 61st annual #GRAMMYs and we couldn't be prouder! #TearItUpBTS "
"Sta accadendo! @BTS_twt sono ufficialmente alla 61esima edizione dei #GRAMMYs e non possiamo essere più fieri di così! #TearItUpBTS "
PRESIDENT NAMJOON WHO TOLD YOUUUU!!
" Esta pasando, @BTS_twt está en los #GRAMMYs y no podemos estar más orgullosos! " Please comment about Hoseok, it is important to new people know who he is!!! ¡Está pasando! @BTS_twt está oficialmente en los 61° #GRAMMYs y ¡no podemos ser más orgullosos! There isn't one picture from this red carpet where Taehyung doesn't look like some mythological god.